Tree magic is powerful and readily available to anyone. From images of the world tree, to walks in the woods, to picking their fruits and nuts; our root and branch friends are everywhere, ready to communicate, support and nourish. Different species of trees appear in different myths and folklore. Though these may vary between cultures, somehow, a certain kind of tree usually represent a certain energy signature. If we want to work magically with trees, knowing these energy signatures can help us make the magical work strong and efficient. Here follows one example of a tree ally we can work with. 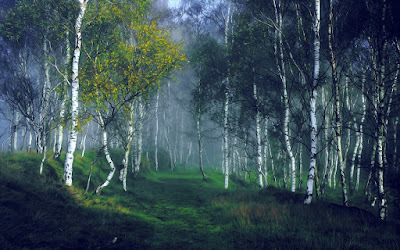 I chose the birch tree simply because its qualities are so in harmony with the very early spring. 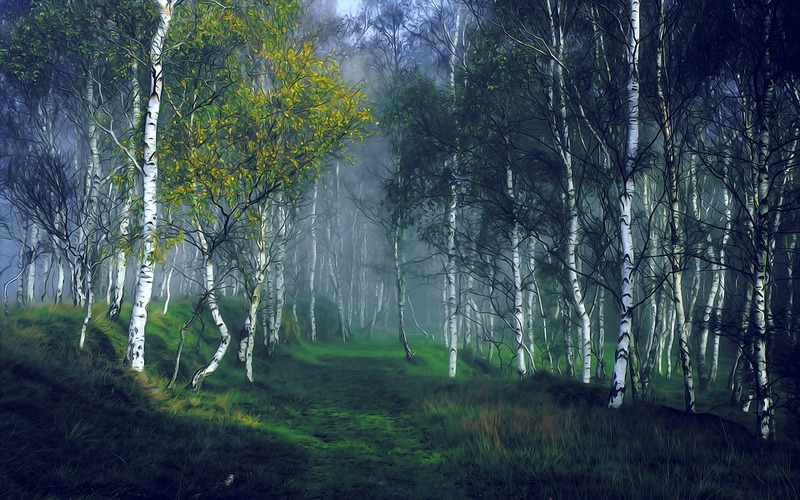 Sometimes called The White Lady of the Forest, birch is a very important tree in North Native American lore, as well as that of Celtic, Old Norse, and Siberian lore. Its slender white stems, with mysterious blackish cracks, and almost fluorescent green leaves, has inspired our ancestors of the northern hemisphere since time immemorial and continues to inspire us today. Greening early, branches with tiny leaf-ears, can be brought indoors to bring new life to a home, or to symbolically sweep out winter and staleness. Or, why not join into the living tradition of the Finish – use them to whip your body clean in a sauna. 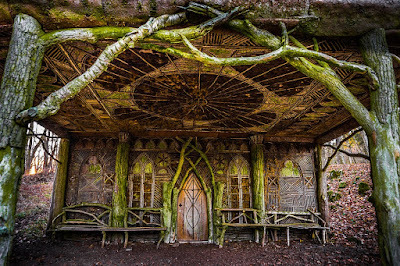 “Out with the old, in with the new,” is a saying that goes well with the magic of birch. 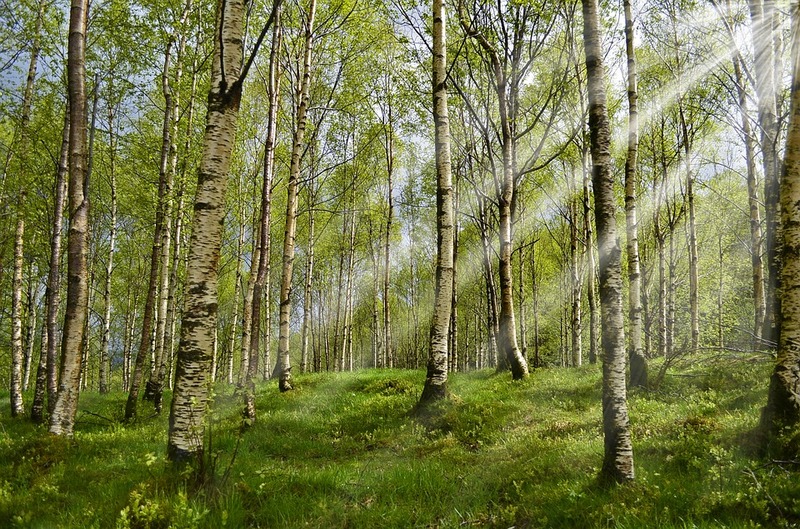 Though well known for its beauty, birch is a real fighter – sturdy and strong. 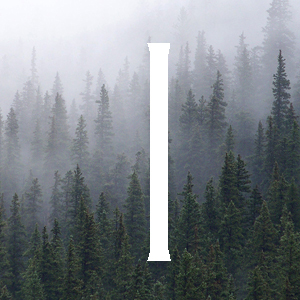 It was the first tree to grow in the hardy climates where the glaciers of the ice age had receded. Its bark can be used to make protection spells, and its sap is still used to make spring tonics. 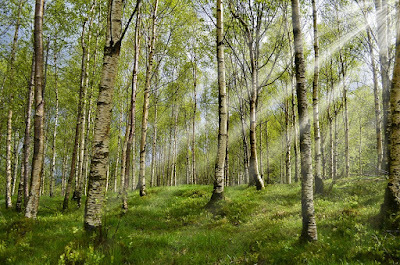 If you want to work with the birch as your magical ally, it will lend you strength for renewal, spring energies, hardiness, protection and much more. So, what are you waiting for? Go out and hug a White Lady of the Forest! First published in our mid-monthly newsletter "Writing, Magic, and Marketing." If you want to sign up, go to: www.theechoworld.com Images with courtesy of Pixabay free download. What Is magic? is the title of a book by Bob Makransky that I reviewed some years ago. It’s a very good book, and I recommend it warmly. What is magic? is also a general question that any publisher of an alternative and spiritual magazine has to ask themselves on a regular basis, trying to remember why on earth you’re doing what you’re doing. Cause let me tell you, it’s not because of the easy-reaping fame, glory and fortune, that’s for sure. So, I do – ask myself this question ongoingly. What is magic? Many years ago, one of my first witch teachers – her name is Oona Ingasdotter – asked this particular question in a class I was attending. I do not remember any of the other participants’ answers. I don’t even remember my own answer. What I do remember, after having blurted out something I thought was half intelligent, is that Oona looked at me with her wise eyes and said, “Yes, I’m sure that is what magic is for you.” I mention this because, since then, I have made a point of always starting any magic or spiritual pondering with – this is what magic is for me. For me magic is the most natural thing in the world. I have realized over the years that quite many people associate this word with crones muttering spells over a steaming cauldron in the moonlight, trying to pull the powers of fate in this direction or the other. And while I have nothing against a little cauldron spell casting every now and then, for me, magic is the absolute opposite to trying to bend fate and life your way with will and tricks. For me, magic is rather to dive into the natural forces of the world, and to communicate with them as clearly and respectfully as I can. Then to gently move the threads of the weave in directions that are good for spirits, gods, nature, plants, animals and humans, alike. 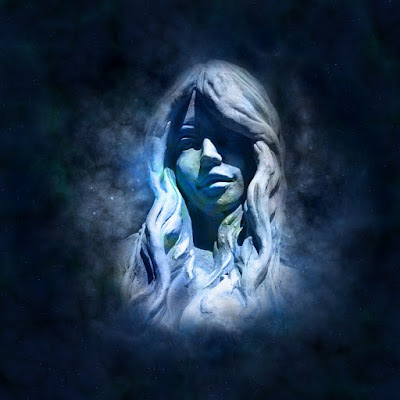 The benefits of doing it this way is that when you communicate with the weave and its myriad of life form, your own energy becomes enhanced, life deepens and becomes … let’s say, more magical. I use the word magic, but you may just as well use a word such as spiritual. 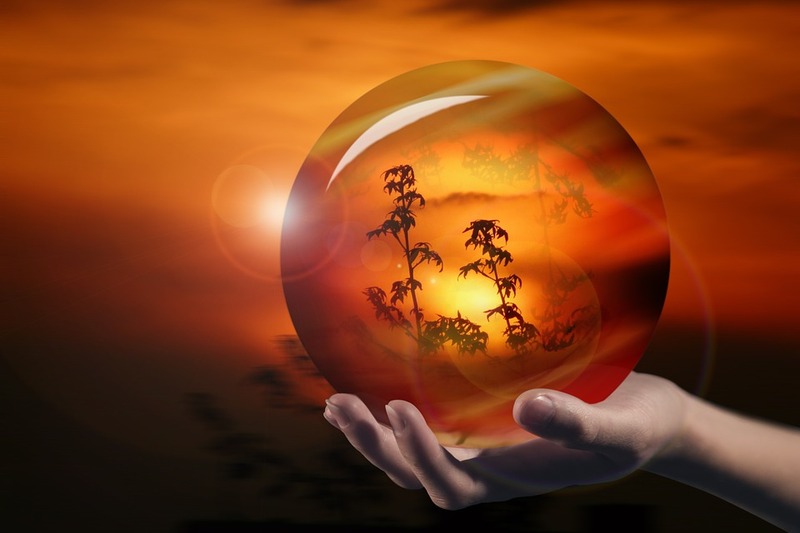 I like the word magic because it binds together the material and spirit world, on all levels. There is always something you can do to change a mood set or a situation. For example, when I wake up in the morning not really feeling up to snuff for the challenges of the day, I take a moment doing candle and incense magic on the porch, moving myself gently towards a state of being that will serve me better. The effects usually stay with me all day. Or, when Michael and I have gone through a week with setbacks, we may end the week with a bonfire by the creek, throwing in sticks and written notes, and even issues of our own magazine to symbolically burn away any stagnant energies that stand in our way. For whatever reason, it always works. The words in themselves are not as important as what they mean to us. This is what The Echo World is all about – giving voices to what we mean when we talk about spiritual, and even alternative. And, as the answers are as many as there are threads in a spiderweb, it takes many writers and many different voices to just start answering it. Every month. Just as magic, any creative act with any kind of worth to it is done in isolation. And even if I sometimes feel a little isolated and chained to my computer the days before deadline (and often the days after deadline when online publication and website updates are falling in my lap at the same time as the upcoming issue’s contributions starts pouring in, and even sometimes in between the most recent issue and the upcoming issue when Michael and I are having planning meetings on the porch … ) The Echo World is nothing but the result of one big web of threads of collaborations. The magic of The Echo World lies in all the contributors and readers of the magazine. And quite an intricate web it is. 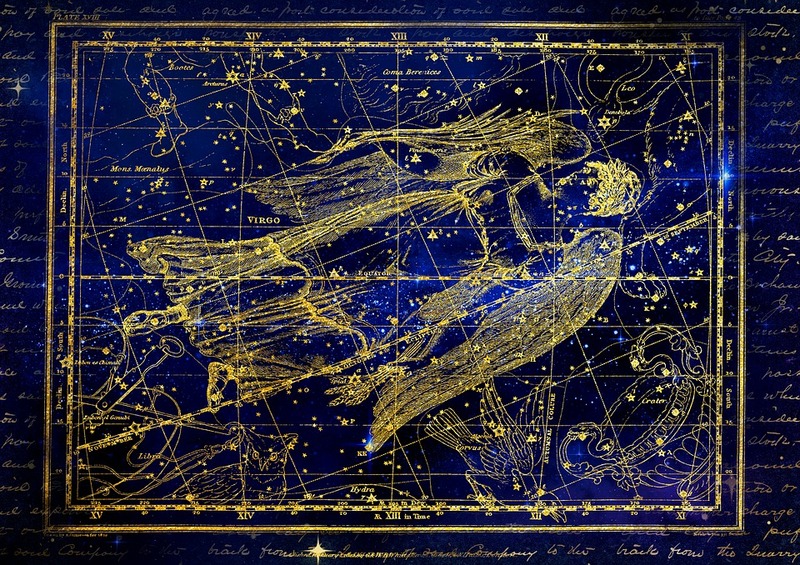 Now, throwing its threads towards the beaming, glowing, beautiful South. I’m exited about that. Not for the sake of the South, which I’m sure does just fine either way. But totally egocentrically for my own and Michael’s sake. 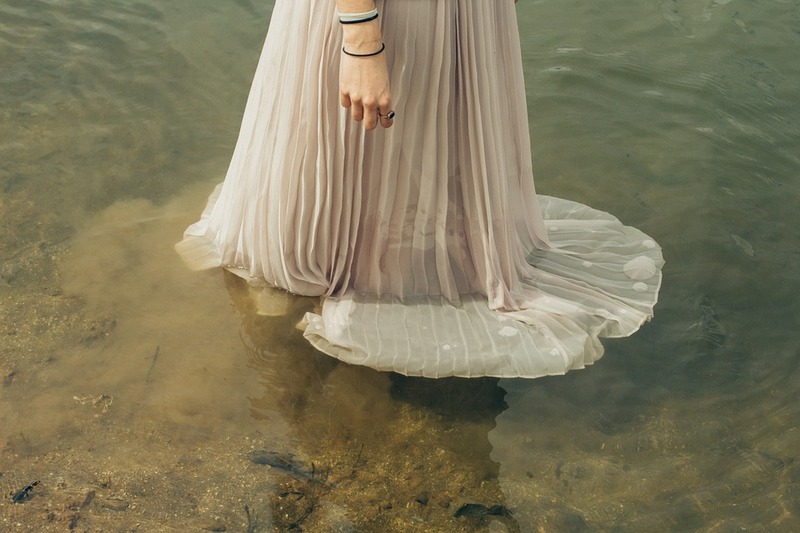 We will have the opportunity to weave this web into new territory for us, and thus, connect new exiting threads back to us. We are opening new phonelines of communication and wait anxiously, listening closely, for the weave-of-life call backs and voice messages. To put it more concisely, The Echo World is the result of a multitude of collaborations and intense communications. It is the result of weaving together unexpected visions, wisdoms and creative efforts from all over. Now, Michael and I are in the process of expanding these efforts. This is going to be a lot of fun. Let’s create some magic together! The Echo World's PUBLISHER'S BOOK TIP: How do you raise a child with extraordinary abilities? John Nelson addresses this question and many more in this well-written and engaging novel: The Miracle of Anna: An Awakened Child. 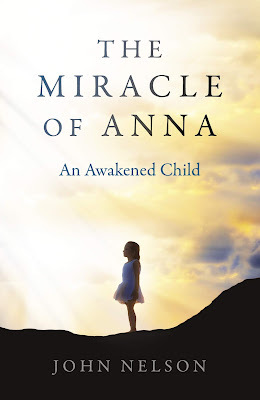 Keep a lookout for a review of The Miracle of Anna, in the upcoming March issue of The Echo World. Pregnant women and mothers of newborns sometimes have a glow about them. The child that they carry or nurture as infants come, to quote Wordsworth, “. . . trailing clouds of glory,” and the spiritually elevated can sense that. And while it’s natural for some to project onto their child “elevated” expectations, it is entirely another matter if that child happens to be fully awakened. Just imagine raising a child Jesus, one in the Buddha state, or a child like the Hindu saint, Anandamayi Ma, in today’s world. This is the situation that faces twentysomething Maggie Langford in The Miracle of Anna when told by her guru that she carries such a child. Her instincts are to shelter and protect the sanctity of young Anna’s pure consciousness. What Maggie she did not expect is the effect her child would have on her own spiritual and psychological development. As a Hindu devotee in a small California town, she is a vegetarian, meditates, and practices yoga. But she is not prepared to have her spirit body whisked away by her daughter to a celestial haven to consult with her spiritual guide. As it were, Maggie is accelerated by her exposure to young Anna. She goes from teaching arts and crafts at an elementary school to becoming a successful children’s book author, writing stories inspired by her child’s beingness. Of course, as a young woman, she has her own needs, but she allows Anna to “clear her chakras” and raise her energy. It lets this single mother to “have a night out” occasionally that is in alignment with her own spiritual development. The most profound change, however, is turning a somewhat mousey young woman into a full-fledged spiritual warrior. Maggie will not tolerate anyone, from her guru to child services, and later the city’s school board, to reduce Anna to another cipher in their system. By example, in nurturing the natural development of our children’s spiritual seed, we only cultivate that expression within ourselves to the elevation of both. - John Nelson, author of The Miracle of Anna: An Awakened Child. Rune of Joy: Allow yourself to be filled with joy, contentment and a general feeling of awe. Spring is coming, but the year is still at its very beginning. This is also a wish rune, so mind your thoughts and make sure that your wishes and visions are lined up with what you truly want. An excellent way to work with the Rune of Joy is to draw it on a piece of paper using light colors such as pink and sunny yellow, or even better – draw it in glitter and hang it somewhere you can be reminded of its qualities every day. Rune of Ice: While the coldness of winter is still lingering, use the Rune of Ice to slow down, breath deep and clarify where you are going. 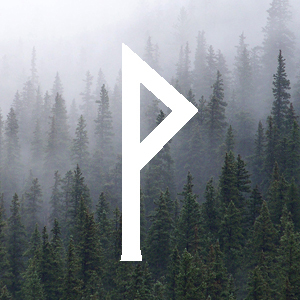 This rune is the very back-bone of the whole rune row and can help us remember what is the back-bone in our lives. 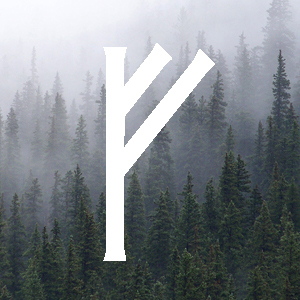 Draw the rune in strong black strokes, add light blue and silver and meditate on its strength. Rune of Cattle: The last rune of the Uthark, the Rune of Cattle, is also called the Rune of Richness. With this rune you can draw all those good things to you that you need. It stands for new beginnings, abundance, social success, sexual energy and more. 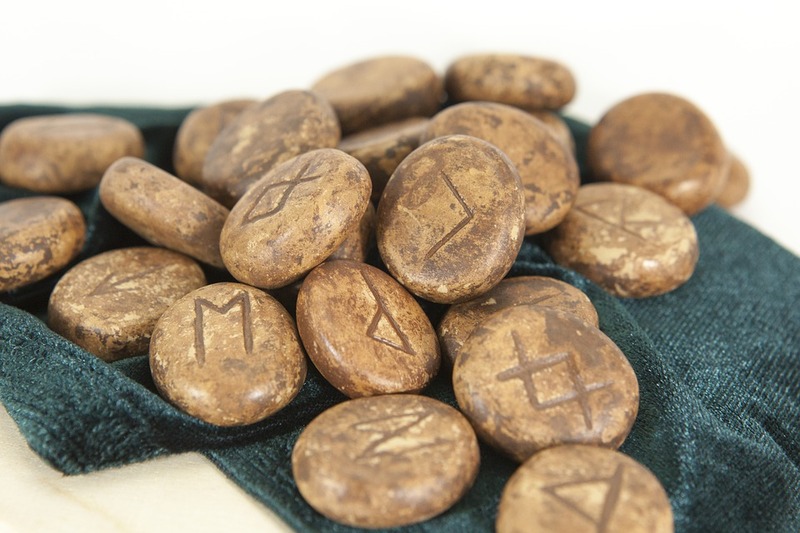 Draw the rune in strong earthy and fiery colors and feel its power coming flowing into your life. Who doesn't love trees? They are our steady friends through storm and breeze, our providers of oxygen, shelter and shade. 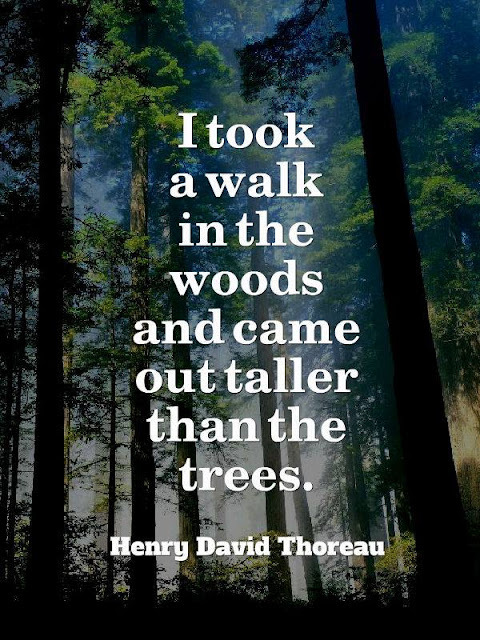 The relationship between humans and trees are age-old and beautifully complex. 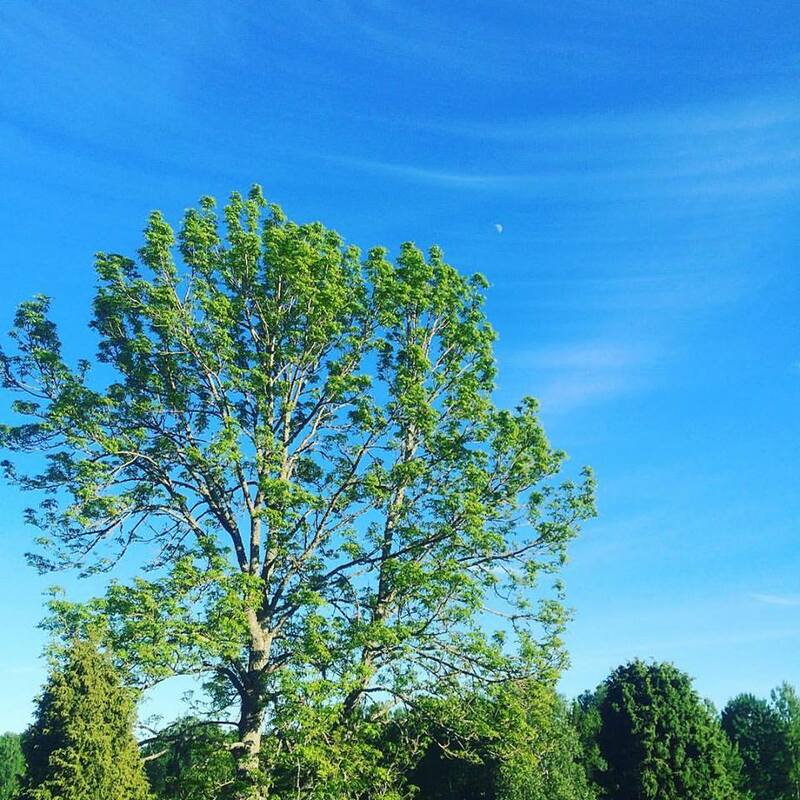 Our root and branch allies are always there, reminding us of digging our energies deep into the earth, as well as reaching towards the open sky. Around the world the world tree shows up as a symbol for all that is. In the world tree lives not only humans, animals and plants, but gods, spirits and fantastical beasts as well. In Norse mythology the world tree is called Yggdrasil – often depicted as a giant ash tree, holding the nine worlds. I have decided to write a series in this blog on the magical properties of trees. I look forward to you reading. In photo: The ash that guards my parent's house in Sodermanland, Sweden. Let me be your voice, your stand, your choice. Writer, publisher of The Echo World, magic worker. I publish The Echo World together with Michael Peter Langevin - the alternative magazine in Central Virginia for spiritual creatives. 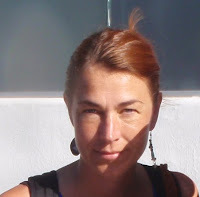 This blog is about publishing The Echo World, about writing and being a magic worker in everyday play and work.